An all new season of Hell’s Kitchen starts tonight on FOX and I am excited. My favorite chef Gordon Ramsay returns for more insanity and drama. Stay tuned as we live blog the premiere with all the up-to-the-minute details. On tonight’s episode part one of the two-night Season 10 premiere of HELL’s KITCHEN, 18 aspiring restaurateurs once again will brave Chef Gordon Ramsay and his fiery personality. The contestants compete in an intense culinary academy to prove they possess the right combination of ingredients to win the life-changing grand prize: a head chef position working under Executive Chef Kevin Hee at Gordon Ramsay Steak at Paris Las Vegas. 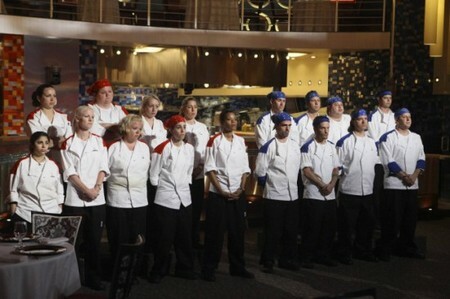 In the first team challenge of the season, Chef Ramsay asks the contestants to prepare their signature dishes and splits the chefs into two teams: men vs. women.